Call us so you can! 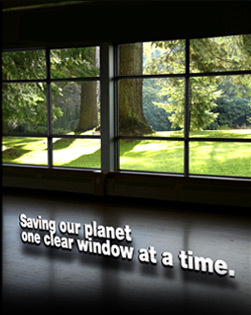 Green Window Works provides an economical and environmentally friendly alternative to costly window replacement. The Green Window Works proprietary process will remove all visible moisture, clear out fog and haze, and restore ‘dry-air’ R-value at a fraction of the cost of replacement. This is accomplished through a procedure involving precision drilling, washing and venting which effectively re-engineers the functional behavior of the window. This process includes installation of moisture regulator vents which enable a window to periodically expel moisture, thereby preventing reoccurrence. The Green Window Works process is fast, convenient, free from messy cleanups, and is covered by a 20-year limited warranty.